NCIS: LA: Does Daniela Ruah’s pregnancy mean there will be a Densi baby? If you haven’t heard the news, on Monday, NCIS: Los Angeles star Daniela Ruah announced she is expecting her second child with husband, David Olsen. She and Olsen (who also happens to be her co-star and on-screen love interest Eric Christian Olsen’s brother) are already parents to a son, River Isaac. Funnily enough, Eric Christian Olsen and his wife, Sarah Wright, are also expecting their second child. What if Ruah and Olsen’s characters (who are an item) end up being parents on the CBS drama, too? How funny would that be? Since the actress is pregnant, I’m sure fans are questioning what this means for her NCIS: LA character, Kensi. Will Kensi and Deeks have a child, too? Sometimes art imitates life, especially in the world of TV, so never say never. I mean, look at NBC’s The Blacklist, which wrote in Megan Boone’s real-life pregnancy. The same can be said for Once Upon a Time‘s Emilie de Ravin. Nothing has been announced yet, but one thing remains certain and that is fans are ready for a Densi baby. 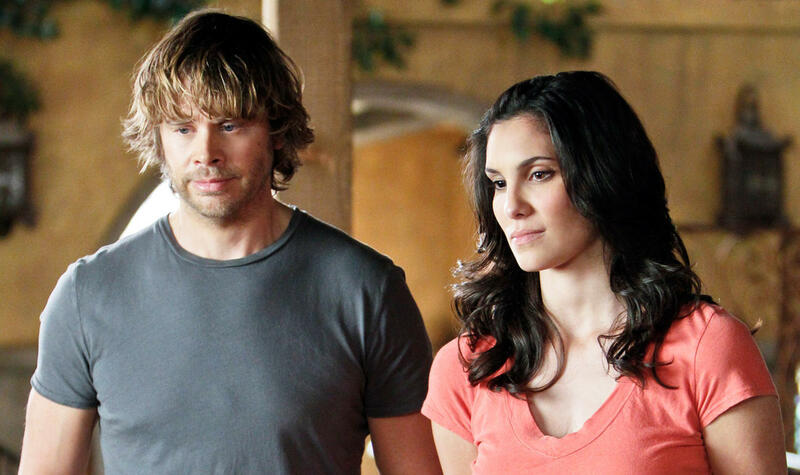 As viewers know, Kensi and Deeks have discussed parenthood before and the difficulties that would come with raising a family, especially when it comes to their jobs. Maybe, just maybe, Ruah’s pregnancy is a sign that Densi will take a major step in their relationship. Whatever the case, it sure seems like Densi shippers are ready to see them as parents. NCIS: Los Angeles airs Mondays at 10/9c on CBS. More: Michelle Obama is coming to NCIS — will she give Gibbs a run for his money?